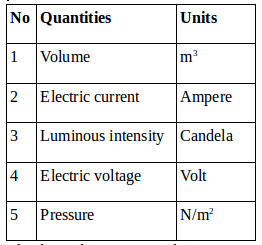 Based on the above table, determine the derived quantities and its international units. Temperature is base quantity. 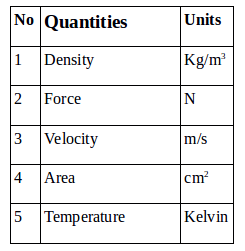 Symbol of temperature is T and its international unit is Kelvin, abbreviated K.
The derived quantities and its international units are shown by number (1), (2), and (3).